Serving all of Northwest Washington: Pierce County, King Count, Snohomish County and many others! A Gutter Cleaning Company That Leaves No Leaves Behind! Extending our gutter cleaning services outside of King, Pierce and Snohomish Counties for the greater love of Greater Seattle! Seattle Moss Removal is Northwest Washington's proud Gutter Cleaning Company! Our roof cleaning company might as well be called Gutter Cleaning Seattle or Gutter Cleaning Tacoma because we serve Northwest Washington with all our love and soul, especially when it comes to doing a job right for every single household and storefront who honors us by requesting a free quote. Whether you're on Whidbey Island, over in Edmonds or Puyallup, Seattle Moss Removal is here. Sometimes our gutter cleaning service is really cheap if your decide to get a full perimeter moss removal because we'll be up on your roof safely with harness and ladder anyways so we might as well clean the gutters from the roof while we can. Our crew consider themselves exterior house cleaners rather than gutter cleaners because cleaning gutters is just one of the many jobs needed to wash the outside of a home like window cleaning and driveway power washing. Don't hesitate to call us for even a small question as we're always happy and willing to help those who work to make Washington the top-notch state that it is. All residential properties out in the country or deep in the city, Seattle Moss Removal is here for you! When looking for gutter cleaning companies in Seattle your best off hiring the gutter cleaners who've been handing gutters for decades. Some of our team members used to install gutters for a living and so they know the best tools for cleaning every nook and cranny of your gutter including unclogging downspouts, washing meshed leaf-guards and all gutter attachments. And for the same price most gutter washing businesses would charge you for washing gutters alone, we can also remove the moss from your roof shingles. Consider calling or filling out our quote form when you're ready to see just how affordable and effective our exterior house washing services really are. Our gutter cleaning cost surprises most, but that's not why we claim to be the best gutter cleaning company! In almost any trade it's hard to find a quality team that shows manners, respect and politeness, yet still that's not why we're the best gutter cleaners in Seattle either! What makes us better is our skill to clean every form of gutters quickly and properly. More oft than not we consider our cleaning gutter service as a bonus for moss removal or roof cleaning. Leaves blow with the wind and like to flow where they please, and we all know what that means. A full perimeter leaf relief is just a phone call away, and while we're at it we might as well power wash your drive way for a laughable sum. But we also understand that sometimes a simple gutter cleaning job is all that's needed and of course we'll gladly serve any request tossed our way. Even if all you have is a question, please don't hesitate to call now! We do residential gutter cleaning across Seattle and so no length of gutters is too short or too long! 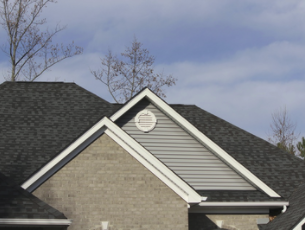 ​Gutter cleaners prevents gutter replacements! Gutter cleaners who leave no leaves behind! Never underestimate the ladder and harness! 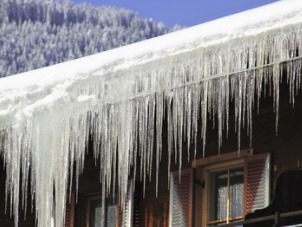 Why buy new gutters every decade when for a low cost you can maintain your gutters to pristine conditions and ultimately never have to buy new gutters again? 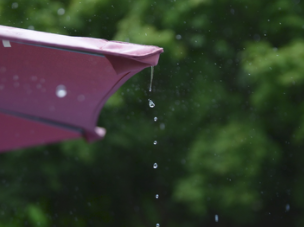 Schedule a yearly gutter cleaning and never have to worry again! Seriously. Seattle cultivates pine trees and pine trees cultivate pine needles in your gutters even if you have a leaf guard because, of course, pine needles somehow manage to fit through the mesh. Well, consider all those pine needles good and gone!